ARLA Propertymark has responded to the Government’s consultation on 'Overcoming the barriers to longer tenancies in the private rented sector' stating that there are no benefits to offering longer initial tenancies because flexible tenancies and rent prices driven by market forces have led to the success of the private rented sector across the UK. The consultation invited views and comments on the benefits and barriers of landlords offering longer tenancies in England. They were also seeking views on our proposed model for a three-year tenancy with a six-month break clause, and the options for implementing this. The Government are also working with the Ministry of Justice to understand issues with the current processes for housing in the tribunal and courts system. So what is our stance? Firstly, they will reduce flexibility and control for tenants. Secondly, the proposals will not provide parity for both tenants and landlords. Thirdly, automatic rent increases will likely cost tenants more money. 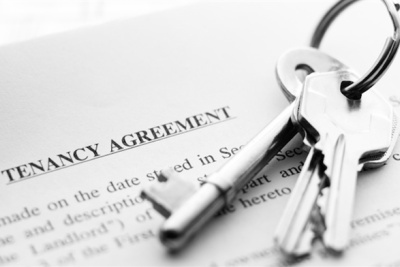 The current tenancy regime allows for tenants to stay in a property for as long as they and the landlord want. Survey results from ARLA Propertymark members show that the average length of a tenancy in July was 20 months. Landlords and agents want long, well maintained tenancies as they are most efficient way of generating rental income for landlords and fees for agents. The current regime already provides for this. We believe that the main barrier to landlords offering longer-term tenancies is that demand for this type of tenancy is low. The other main barriers are the time taken to gain possession of property, and mortgage conditions. In addition, letting agents want well-maintained tenancies as void periods and renewals reduce agent’s fees. Figures from the Ministry of Justice in November 2017 show that it takes an average of 41 weeks for a landlord to regain possession if a tenant falls into arrears. Consequently, there is a greater risk involved in offering longer tenancies as landlords will probably have to shoulder the cost of a tenant not paying their rent due to the prolonged process to regain possession of a property. Moving to three-year fixed term tenancies will make it harder for landlords to evict problem tenants; thus, deterring landlords from renting out their property altogether or being much more selective about the types of tenants they will let their property to. The maximum restriction should limit rent increases to once per year as is currently the case under Section 13 of the Housing Act 1988. Any further restrictions on rent increases are unnecessary for three reasons. Firstly, rent controls where increases were capped by inflation each year would leave tenants worse off because, for example, CPI was 2.7% in the year to January 2018 and rent increases were considerably lower than that. Secondly, it costs landlords time and money to re-let property. Thirdly, landlords are not increasing rents across the board just for the sake of it. Where landlords have had to raise rents, this is because of spiralling costs to deal with tax rises to both purchase and let a property. Easier access to justice would reduce the risks for landlords and ensure they offer long tenancies to those that want or need them. Currently, a key disincentive for landlords is that when something goes seriously wrong, such as a tenant falling into serious rent arrears, neglecting the property, or engaging in anti-social behaviour, they must resort to the courts to act. This costs an increasing amount but is also increasingly delayed, with a possession case taking an average of 41 weeks to complete. For a landlord in receipt of nothing in rent, still with a mortgage to pay and obligated to maintain the property, this is an unsustainable cost and delay. By reducing delays there will be less risk when offering longer tenancies as landlords won’t have to worry about non-rent payments and their costs will be reduced. Landlords have faced significant tax increases in recent years and we believe that there are financial incentives that would encourage landlords to offer longer tenancies. These should focus on: revoking the 3% Stamp Duty surcharge on buy-to let properties; reversing the mortgage interest relief changes; ensuring the same level of roll-over relief to landlords that other businesses receive; introducing more flexibilities with Universal Credit; reduce tax for landlords who use a regulated letting agent; reduce the cost or eliminate license fees; and giving tax incentives to landlords who offer longer tenancies to improve the condition of their property. We do not believe that now is the time to introduce longer tenancies. There is too much legislative intervention already. The Government need to let existing laws take shape (or even come into force) before introducing new ones. Continuous changes mean no ability to measure what has worked and what has not. Furthermore, law after law has been passed in the sector but none of it is being enforced. We are clear that what we need is much greater tenant empowerment; we need a more effective enforcement regime; we need a more effective court system; and we need simplification. The consultation closed on 26 August and the Government is currently analysing the feedback they have received.